Micah and Levi, originally uploaded by MetalAngelAurora. Just characters of mine from Sims3, will see if I can add audio later. Micah teaches his little boy to walk. Finally something good to blog about. 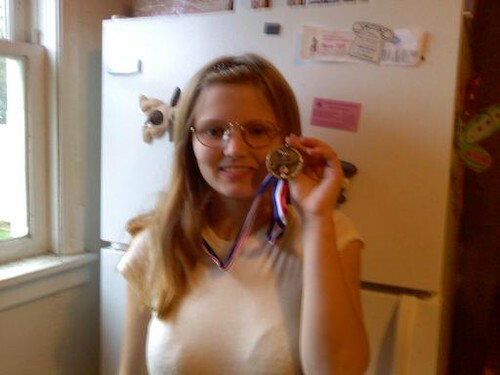 Whit got a bronze medal at the Special Olympics. I thought therapy was supposed to help, and not make you feel even worse about yourself. It seems all that happens when I go to see this new counselor, is that I spend an hour being told what a horrible person I am, and how I need to “change” so I can be more normal. I am so sick of this mans attitude. How can someone who has only met with you a handful of times claim to know everything about you? It makes me angry that I keep getting told their “expert” opinions are all that matter, and that my opinions mean nothing because of it.